Following the recent technical publications published by the Government in the event of a “no-deal” Brexit, Caroline Raine discusses the potential impact of a “no-deal” Brexit on future chemical regulations and the chemicals industry in general. On 23 June 2016, the UK held a referendum to decide whether the UK should leave or remain in the EU. Leave won by 51.9% to 48.1%. On 29 March 2017, Article 50 of the Lisbon Treaty was invoked and gave both parties two years to agree the terms of Brexit. This means that the UK is scheduled to leave at 11pm UK time on Friday, 29 March 2019, although this can be extended if all 28 EU members agree. The recent Chequers Plan published on 12 July 2018 — so-called because it was agreed at the Prime Minister’s country residence — refers to a transition period of 21 months to 31 December 2020, allowing more time for the details of the new relationship to be fully hammered out. Free movement will continue during the transition period, as the EU wanted. This transition period is currently only due to happen if the UK and the EU agree a Brexit deal. What are the options? Will it be a hard or soft Brexit? Will we get a “deal” or “no-deal” scenario? These are all very good questions — and we just don’t know at this stage. The UK Government and the main UK opposition party both say Brexit will happen. Negotiations are ongoing, and we hope to know soon what the outcome will be. Up until quite recently, the message from the Government was that they were confident of a deal. Now we are seeing a flurry of technical reports from the Government all outlining the impact in the event of a “no deal”. And, in fact, one of Mrs May’s repeated phrases has been that “no deal is better than a bad deal”. The responsibilities of government departments will be re-aligned following Brexit. The table above shows how the regulations will be split and who will be responsible for which piece of legislation. It’s very interesting that Classification, Labelling and Packaging (CLP) and Registration, Evaluation, Authorisation and Restriction of Chemicals (REACH) have been separated, isn’t it? They are, after all, very closely aligned! The HSE held a “Chemicals EU Exit Workshop” event on 1 August covering the impact on the BPR, CLP and PIC1 regulations in the event of a “no-deal” Brexit. The intention for all EU regulations is to take a lift and shift approach — so literally lift and take each EU regulation and transpose it across into UK regulation. That, then, gives the UK time. Of course, there are some things in each legislation that will need to be changed — for example in CLP — reference to the European Chemicals Agency (ECHA) if we have a “no-deal” scenario. So, if there is no deal, how will the regulations work on Brexit Day? All of the EU regulations (that is directly-acting regulations) will be brought into UK law as regulations, specifically Statutory Instruments (SIs), so that on Brexit Day, 29 March 2019, things will be exactly the same. What this means is that the legislation needs to go through in the autumn, with the SIs made and laid before Parliament in December 2018/January 2019. The SIs will be debated in both Houses of Parliament and voted on in both houses before each SI is adopted. Transport regulations come from the UN level rather than the EU so the only requirement is to recast the Carriage of Dangerous Goods and Use of Transportable Pressure Equipment Regulations 2009 (SI 2009 No. 1348) (CDG 2009), as amended, and the equivalent Northern Ireland (NI) Statutory Rules. And in fact, the Department for Transport (DfT) is currently drafting these new regulations. The current situation pre-Brexit is under the Directive 2008/68/EC — inland transport of dangerous goods (ITDGD) — the UK is basically obliged to apply ADR to domestic as well as international carriage. Though there are derogations in the ITDGD that permit the UK to require tank and bulk carriage to show the NCEC’s Emergency Action Code (EAC) rather than the Hazard Identification Number (HIN). There is also a UNK requirement to have an emergency response telephone number on tanks. In order to obtain certain other domestic UK derogations (as listed in the UK Approved Derogations and Transitional Provisions (ADTP) — such as the retail distribution relaxation and the immediate vicinity relations), the UK has to apply to the EU Commission, and effectively get approval from other EU Member States before these can be applied. Once the UK leaves the EU, it will no longer be bound by the requirements of the ITDGD. The UK arrangements are outlined in the CDG2009 (as amended) and the UK ADTP. The chances are that for the transport of dangerous goods, there will be no changes to requirements concerning the practical aspects to the domestic and international carriage of dangerous goods as a consequence of Brexit. Also, that the UK’s acknowledged expertise and contribution to the maintenance and updating of the provisions will continue to be felt. The only change will be an updated version of the Carriage of Dangerous Goods and Use of Transportable Pressure Equipment Regulations. While the transport regulations are unlikely to be heavily impacted there are, of course, other added challenges that cover licences, taxes, tariffs, border control, etc. As I have already mentioned, the HSE will become the competent authority for CLP and SDS — in the event of a “no deal” this would be effective very quickly and if a deal (Chequers) is negotiated the ECHA would remain the CA until December 2020. The HSE is prepared for every eventuality and is giving positives for leaving including the fact that it can get more actively involved in global regulations rather than limiting to EU regulations. It has an IT system already in place. It is keen to keep standards of chemical safety high but stressed many times that it is going to be pragmatic to deal with. There is, of course, the added risk that the HSE may introduce fees for CLP notifications, alternative chemical names, etc. The UK has been very heavily involved in all of the discussion on the new harmonised format for poison centres under Annex VII of CLP. The message from the HSE up until Brexit was that notifications should be made to the UK poison centre — it’s quick, easy and free. Whether the UK will adopt the new Annex VIII harmonised format remains to be seen. And how the UK makes poison centre notifications to the EU also remains to be seen — or if in fact they will have to. In the absence of a deal with the EU, the UK will become a third country to REACH on exit day and there will be no transition period. This means that UK REACH registrations will likely become invalid on exit day. The White Paper published in July 2018 proposes that the UK seeks “active participation” in EU agencies in heavily regulated sectors such as medicines (European Medicines Agency), aviation (European Aviation Safety Agency) and chemicals (ECHA). It proposes that UK regulators can continue to contribute expertise to ECHA committees but accepts that the UK will not have voting rights. The Government also accepts that the UK would make an “appropriate financial contribution”. With respect to REACH registrations, the White Paper envisages a situation where UK businesses could “continue to register” chemicals directly with the ECHA. 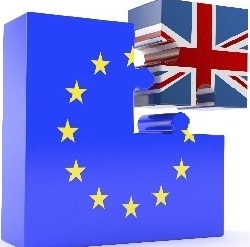 If there is no deal reached with the EU on some form of associate membership of the ECHA, the UK will become a third party to REACH on exit day (29 March 2019) and there will be no transition period. In this case, the ECHA has stated that UK registrations will become immediately invalid. Two broad issues arise for a “no-deal” scenario are as follows. How chemicals will be regulated in the UK without REACH in place (ie the manufacturing, importing and marketing of chemicals). UK firms would need to take the following action. Businesses with existing EU REACH registrations being automatically grandfathered into the UK regime or authorisations would have to validate their existing registration with the UK authority (the HSE), opening an account on the new UK IT system and providing some basic information on its existing registration within 60 days of the UK leaving the EU. This IT system is being tested with a range of different users so that it is ready to support registrations of chemicals in the UK from March 2019. Companies with grandfathered registrations would have two years from the day the UK leaves the EU to provide the UK authority (the HSE) with the full data package that supported their original EU registration and is held on the ECHA IT system. Businesses that imported chemicals from the EEA before the UK leaves the EU (but who did not have an EU REACH registration), would need to notify the UK authority and provide some basic data on the chemicals within 180 days of the UK leaving the EU, instead of having to undertake a full registration immediately. This would be an interim arrangement for those importers and they would need to move to full registration at a later date following a review of this approach. If a business wished to place new chemicals on both the EEA and UK markets, in a “no-deal” scenario, they would have to make two separate registrations, one to the ECHA and one to the UK. The information and data package needed would be the same for both. It is only at the point that the UK Parliament has ratified the deal and the EU Council has obtained the European Parliament’s consent and adopted the decision to conclude the agreement, that we can be certain that the UK will not enter a “no-deal” scenario in March 2019. This is a fast-changing area and we are running out of time. It is important to keep monitoring the landscape and be ready to act once we know what the outcome will be. Start to look at your supply chain, ask questions of your suppliers and manufacturers about their plans and seriously consider legal entity options within Europe. Please note that this article is all speculation at this stage — at the time of writing we still do not know the outcome of the Brexit negotiations.